Retrofitting for Sustainability was produced by CAFNEC to encourage improvements in energy and water efficiency in the home. 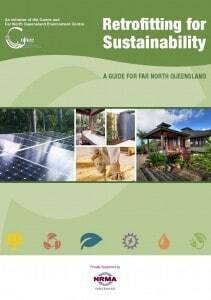 We hope that this guide will fill the gap in available locally relevant, information for residents. The Guide was produced with the support of NRMA Insurance and local sponsors. The Guide was written by Sophie Barrett and published by CAFNEC.